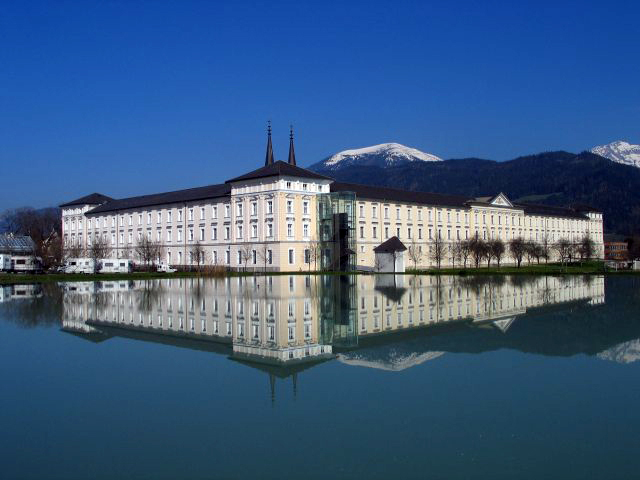 Admont Abbey is a Benedictine monastery located on the Enns River in the town of Admont, Austria. 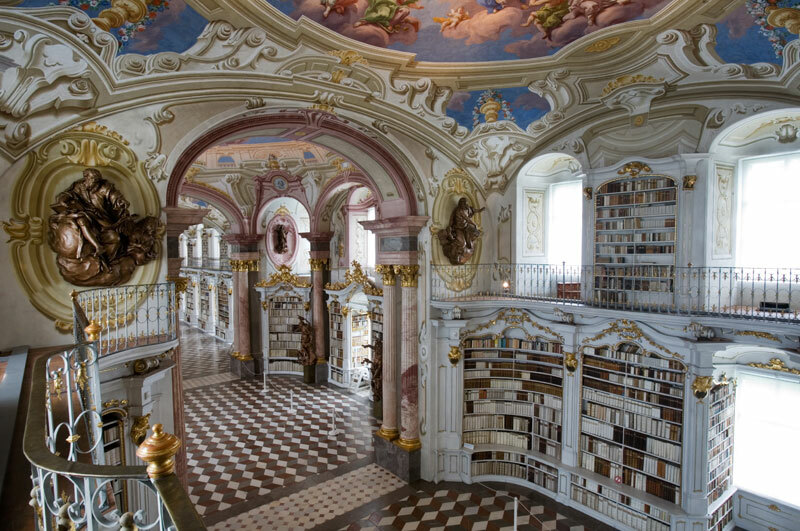 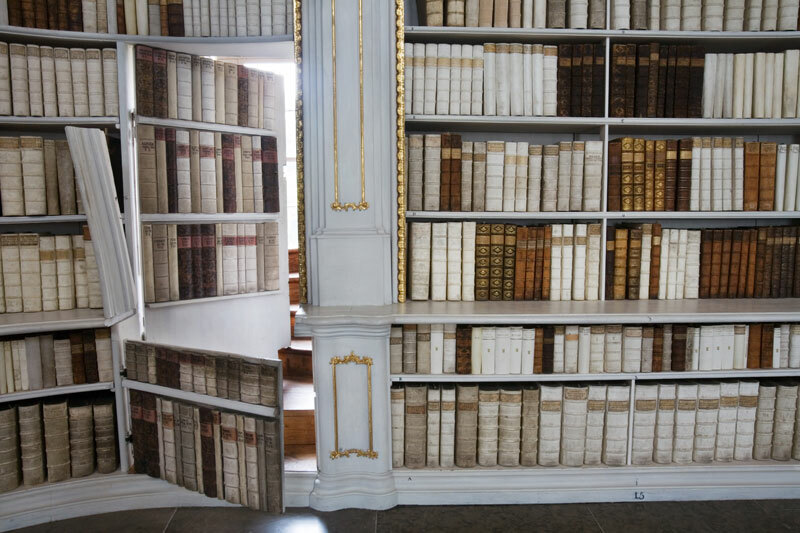 It is the oldest remaining monastery in Styria and contains the largest monastic library in the world. 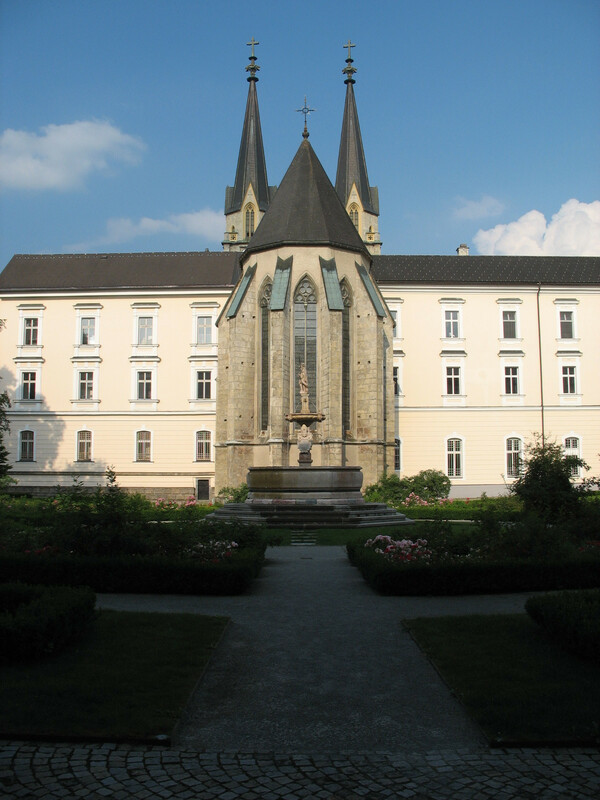 The abbey is known for its Baroque architecture, art, and manuscripts. 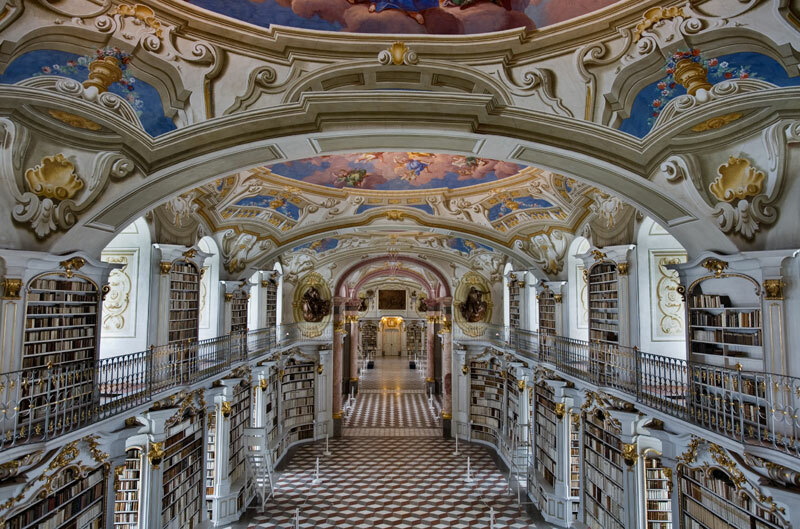 The library is divided into three sections and has an overall length of 70 m (230 ft), a width of 14 m (46 ft) and 11 m (36 ft) in height (12.7 m in the central cupola). 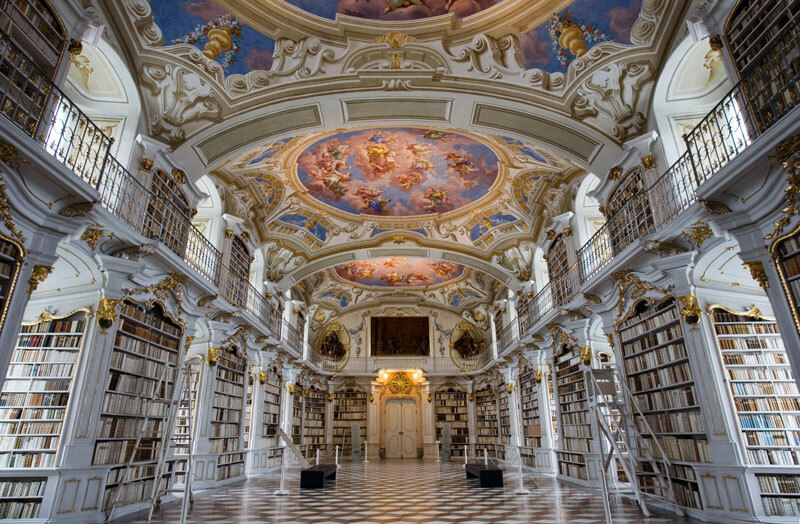 Adorning the ceilings are seven frescoes by Bartolomeo Altomonte who was 80-years-old at the time and completed the frescoes over the summer months of 1775 and 1776. 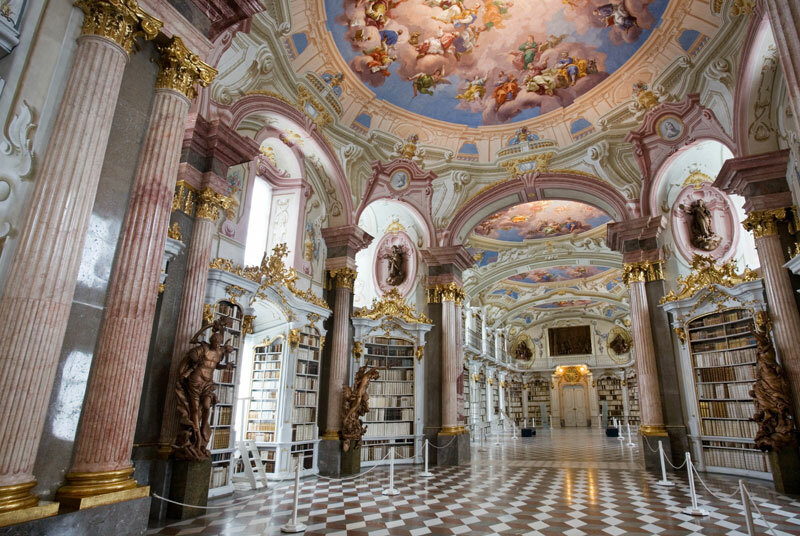 The frescoes depict the steps in ‘man’s exploration of thinking and speaking from the sciences to Divine Revelation in the central cupola’. 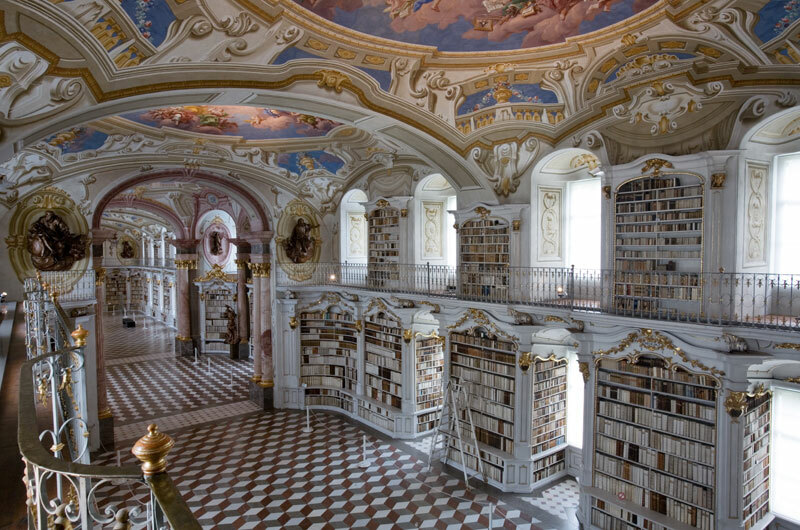 Lastly, the library collection comprises some 200,000 volumes. 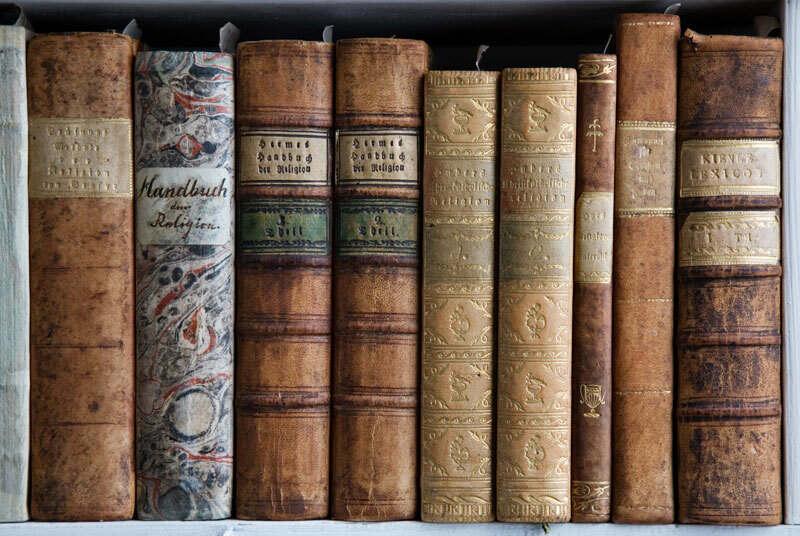 The most valuable treasures are the more than 1,400 manuscripts (the earliest from the 8th century) and the 530 incunabula (early printed books before 1500). 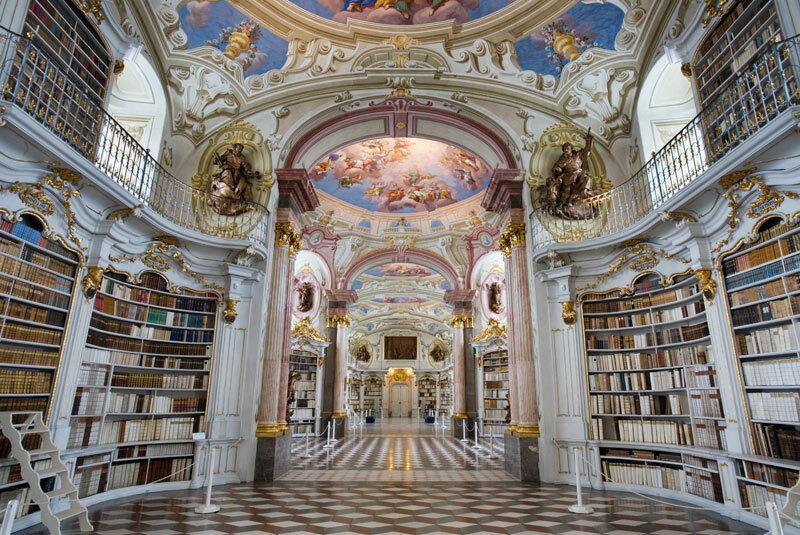 The library is divided into three sections and has an overall length of 70 m (230 ft), a width of 14 m (46 ft) and 11 m (36 ft) in height (12.7 m in the central cupola). 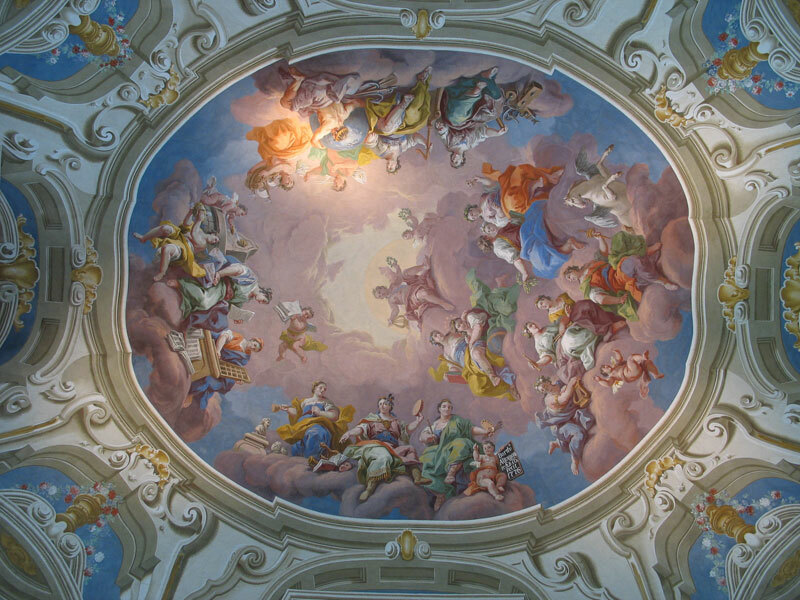 Adorning the ceilings are seven frescoes by Bartolomeo Altomonte who was 80-years-old at the time and completed the frescoes over the summer months of 1775 and 1776. 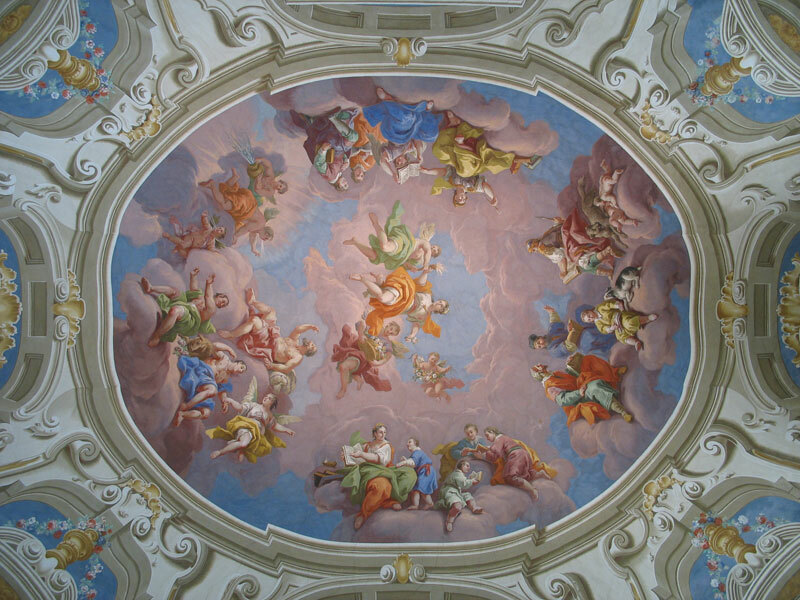 The frescoes depict the steps in ‘man’s exploration of thinking and speaking from the sciences to Divine Revelation in the central cupola’. 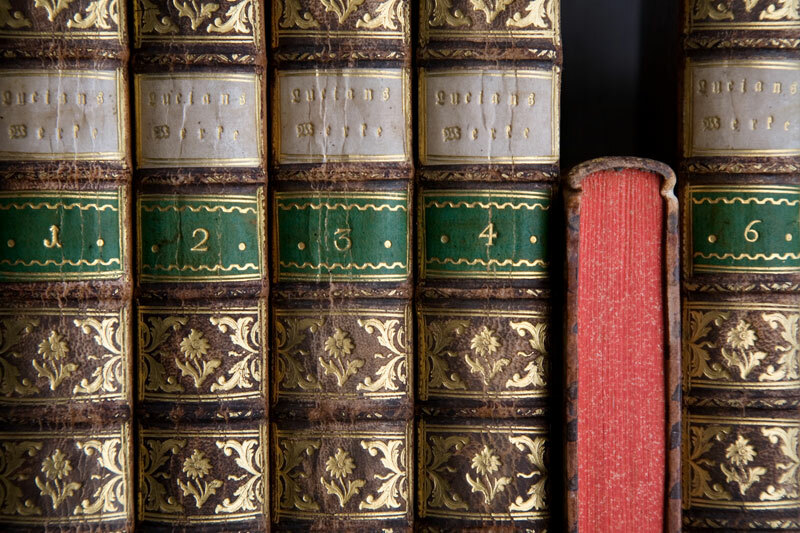 Lastly, the library collection comprises some 200,000 volumes. 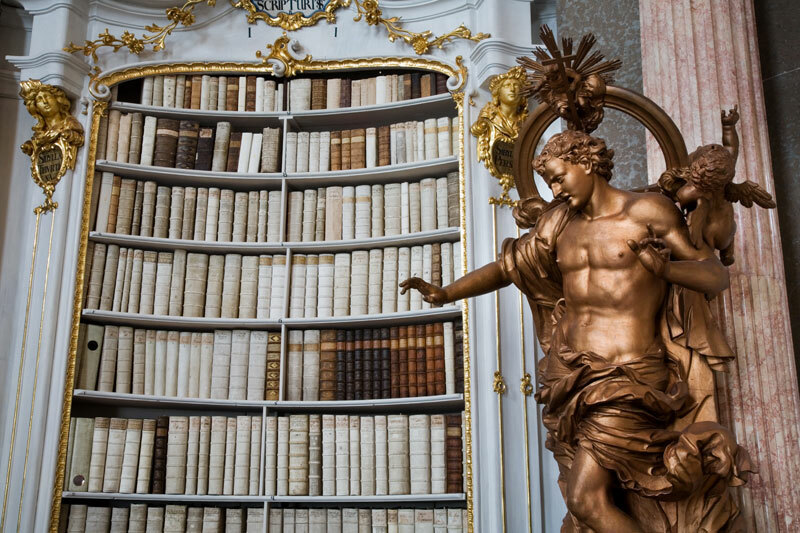 The most valuable treasures are the more than 1,400 manuscripts (the earliest from the 8th century) and the 530 incunabula (early printed books before 1500).